This is a fun way to have students work on deepening their understanding of concepts and vocabulary. 1) Have a list of 8-10 words that can be easily connected to each other. 2) The students write each word on a post-it note. 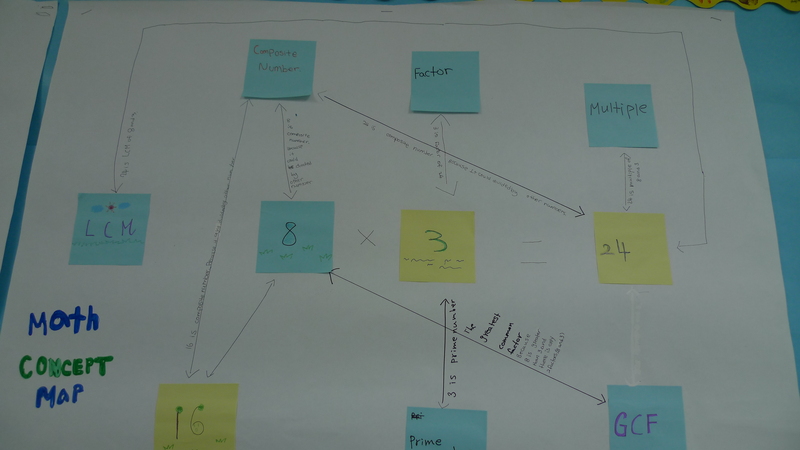 3) Then, the students put the post-it notes on the poster paper and work on arranging them in a way that they can make connections to the other words easily. 4) Let students know that as they create arrows that connect words together, they must write a sentence of how they connect. 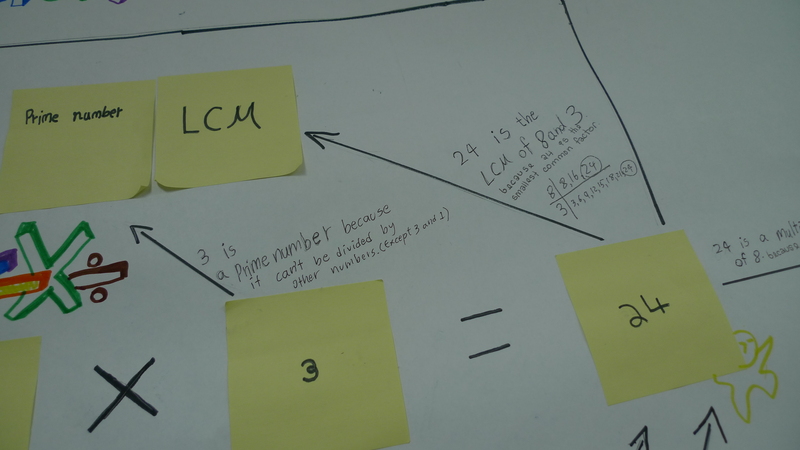 Since they were making math concept maps, I had them explain the math of why two words (or numbers) would connect with each other. 5) Once they finish their map, I have them glue the post-its on the poster paper, because they can easily fall off. 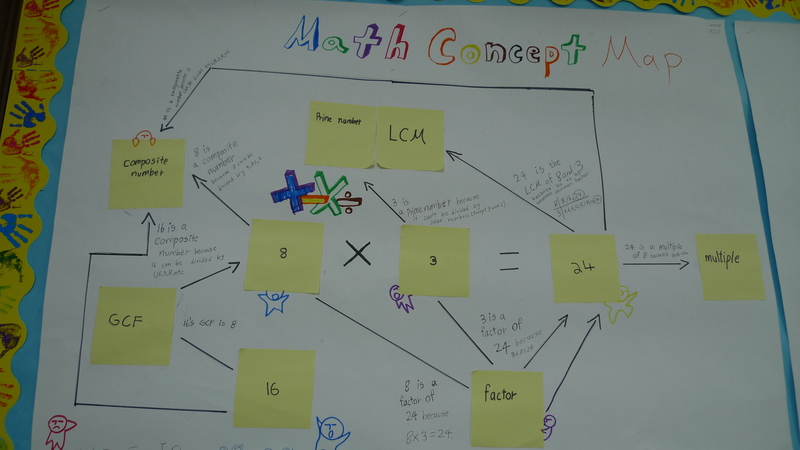 You could easily use this idea of creating a concept map for other subject areas!